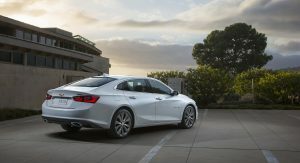 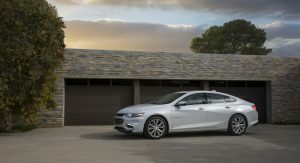 GM has lifted the veils off the all-new 2016 Chevrolet Malibu, which brings a new design, more efficiency, connectivity and advanced features than ever before. 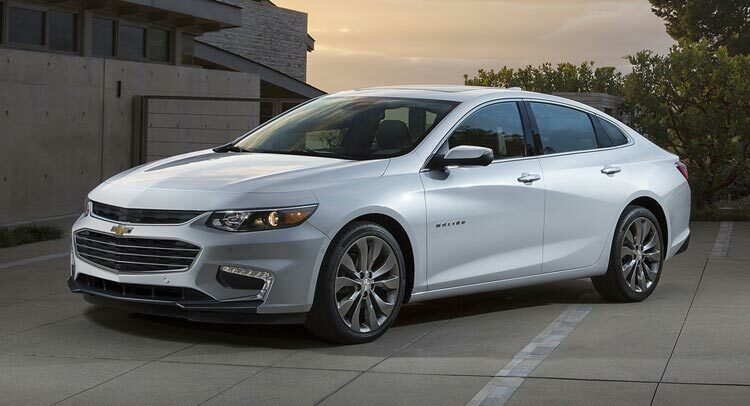 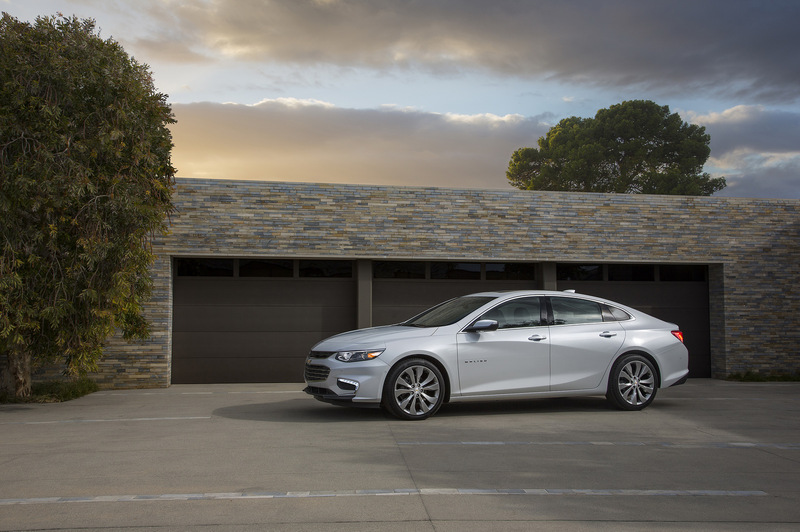 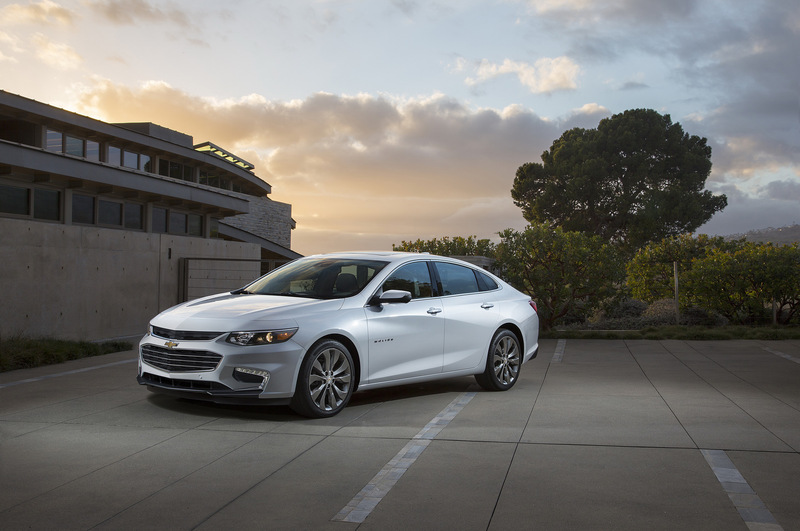 The 2016 Chevrolet Malibu is longer and lighter, thus offering more interior space and improved fuel efficiency. 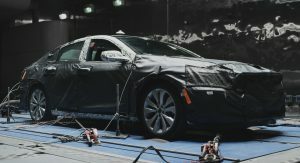 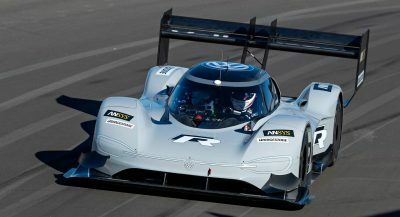 The wheelbase has been stretched 3.6 inches (91mm), and it is nearly 300 pounds (136 kg) lighter than the current model thanks to a greater use of high-strength steels. 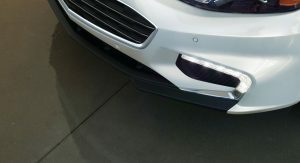 Overall length increased by 2.3in (58mm), while the width has remained the same. 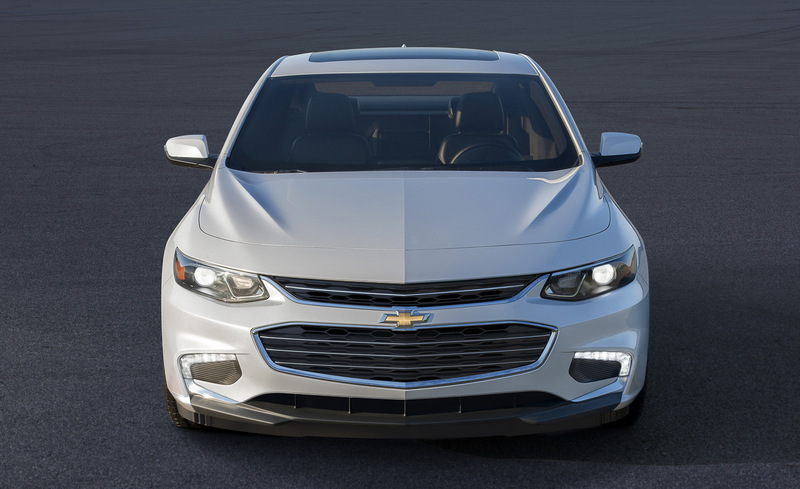 The new Malibu definitely looks sleeker than before, featuring design cues from the 2014 Chevrolet Impala combined with features such as slim, sweeping headlamps and the brand’s typical dual-port grille. 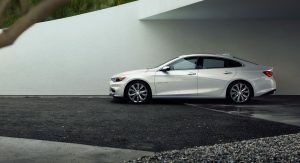 Three body-side creases also add drama to the design. 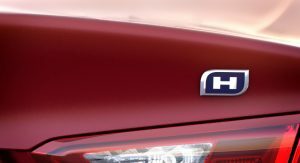 Aerodynamic performance has been improved thanks to a lower hood and cowl, as well as the addition of active grille shutters on LS and LT models. 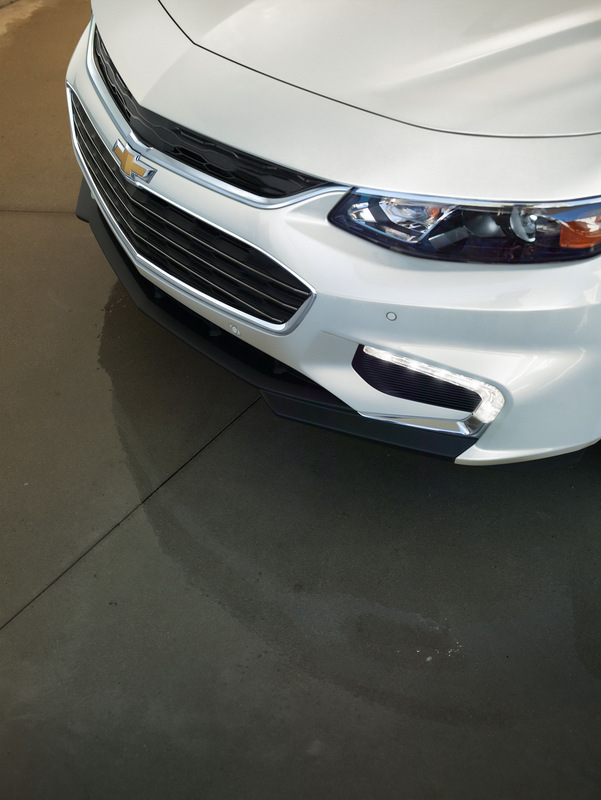 LT and Premier models get LED DRLs, with the latter model also receiving LED taillamps. 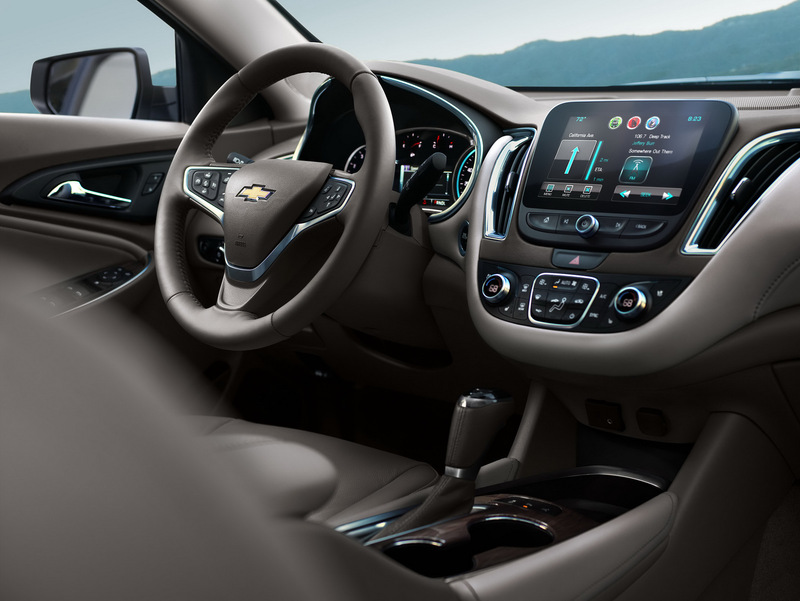 Inside, the 2016 Malibu features Chevrolet’s signature dual-cockpit interior, with an all-new center stack offering greater delineation between the infotainment system and climate system controls. 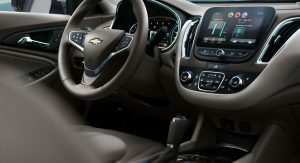 The dashboard is dominated by a 7-inch touch screen offered as standard on LS, LT and Hybrid models as part of the Chevrolet MyLink infotainment system. 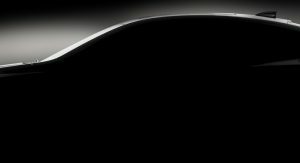 An 8-inch touchscreen is also available. 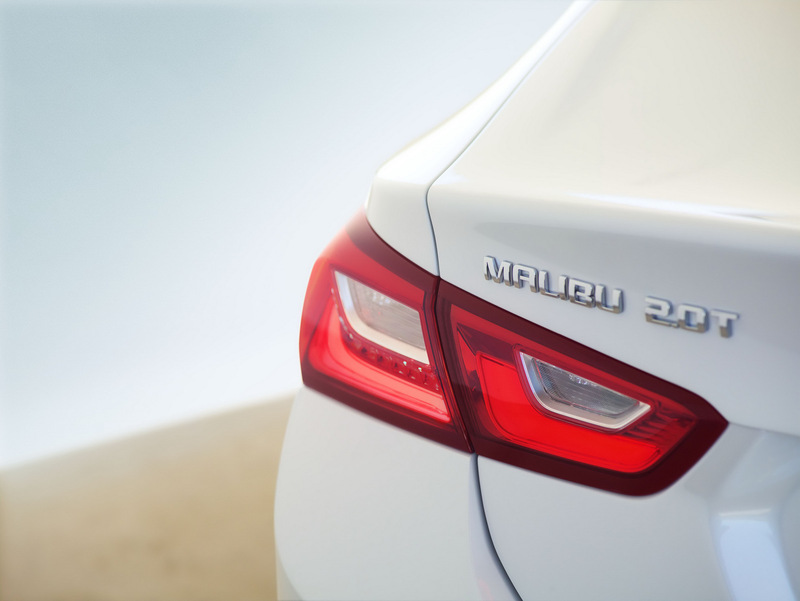 Rear legroom improves by 1.3in (33mm) thanks to the increased wheelbase. 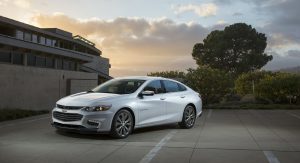 Moving on to the engine options, the 2016 Chevrolet Malibu gets an all-new, standard Ecotec 1.5-liter turbo engine offering 160hp and 184lb-ft (249Nm), as well as an available 2.0-liter turbo with 250hp and 258lb-ft (350Nm) – the latter mated to a new 8-speed automatic transmission. 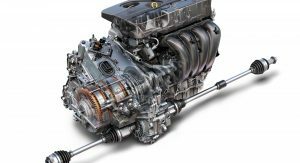 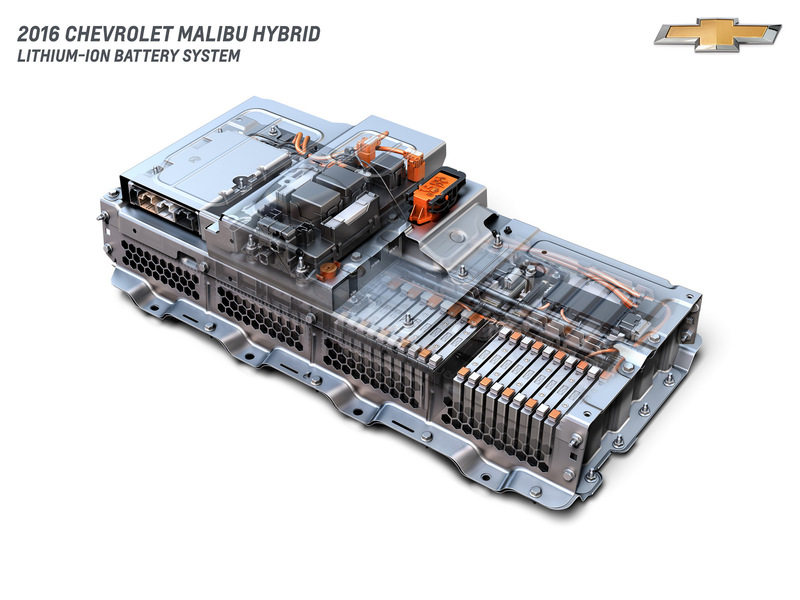 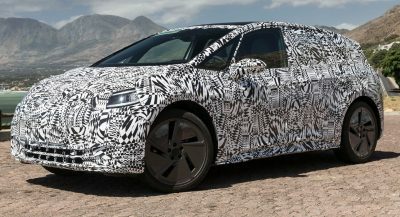 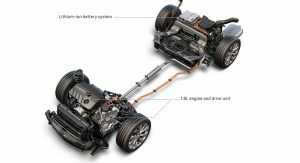 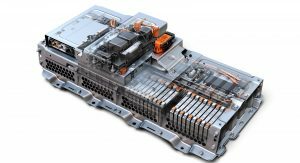 There’s also an all-new hybrid powertrain derived from the Chevrolet Volt, which combines a 1.8-liter four-cylinder engine with a two-motor drive unit and an 80-cell, 1.5 kWh lithium-ion battery pack for 182hp of total system power. 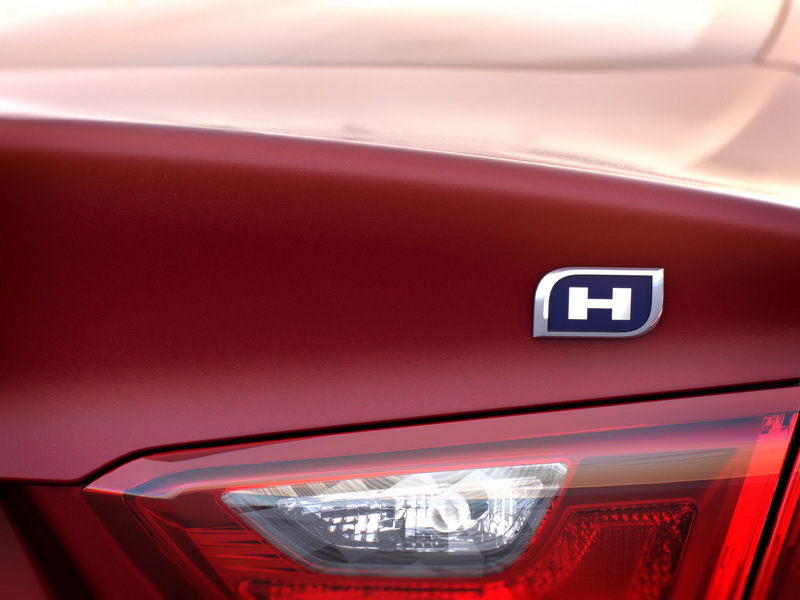 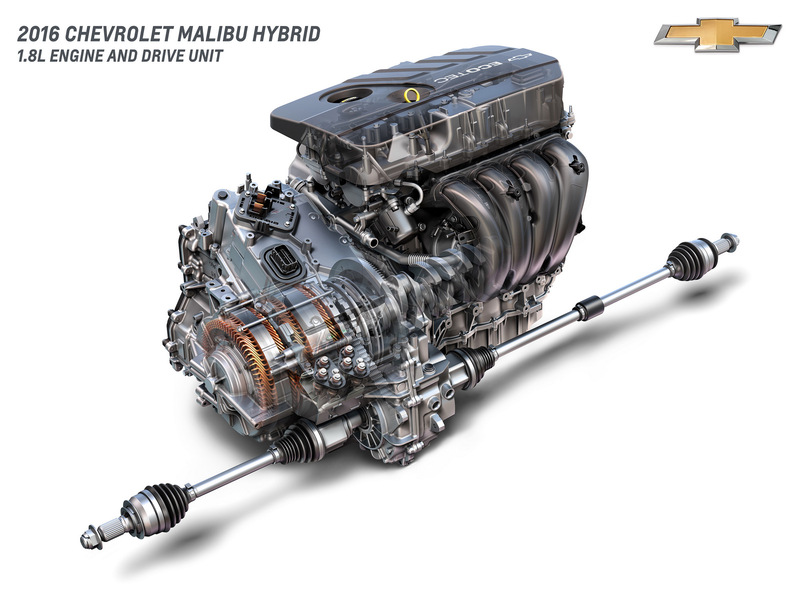 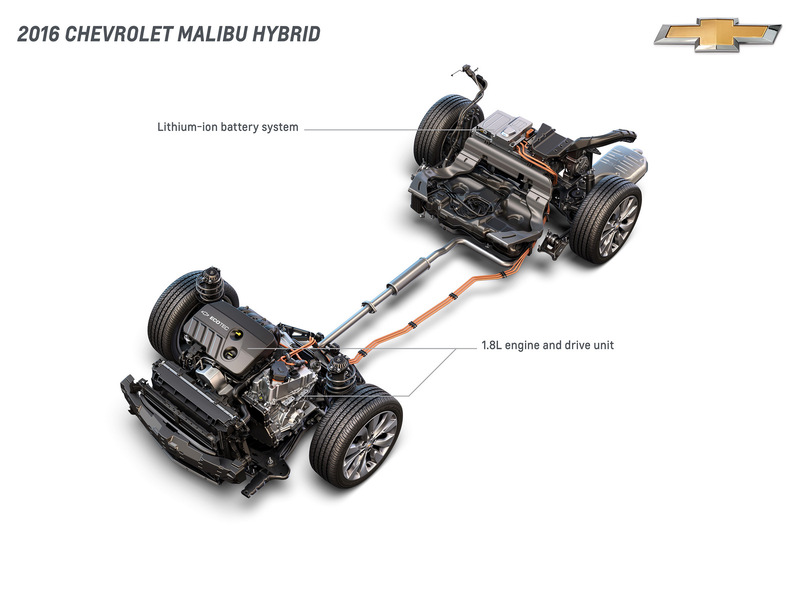 The Malibu Hybrid can reach up to 55 mph (88 km/h) on electricity alone. 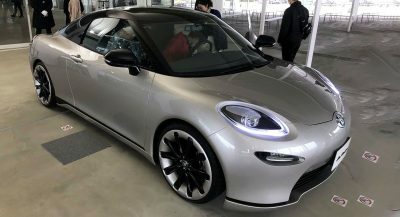 The hybrid model will offer an estimated combined fuel economy rating exceeding 45 mpg (5.2 l/100 km) highway, while the standard 1.5-liter turbo engine is expected to return 37 mpg (6.3 l/100 km). 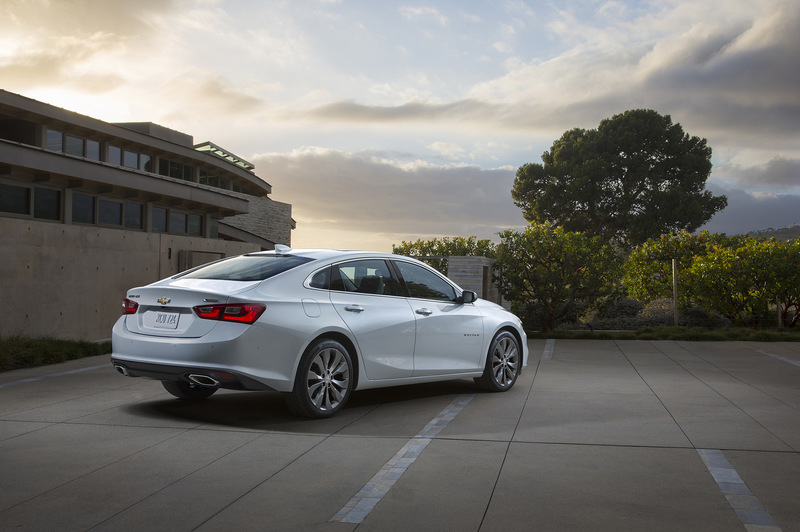 The 2016 Malibu debuts the Teen Driver monitoring system which mutes the audio or any device paired with the vehicle when front-seat occupants aren’t wearing their safety belts and provides audible and visual warnings when the vehicle is traveling over predetermined speeds. 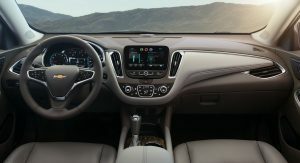 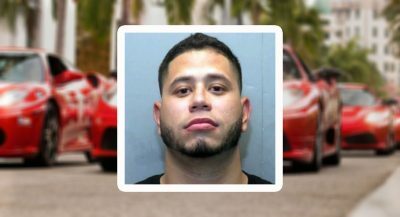 The system also lets parents view on a display how their teenager drove the vehicle. 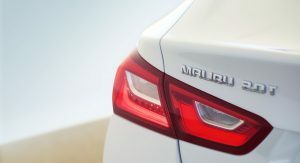 Other standard and available safety features include a rear-view camera system, Front Pedestrian Alert, New Lane Keep Assist with Lane Departure Warning, Side Blind Zone Alert with Lane Change Alert, New Forward Collision Alert with Following Distance Indicator, Rear Cross Traffic Alert, Front and Rear Park Assist and more. 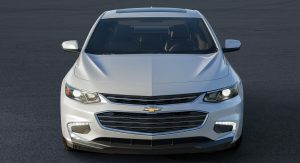 The 2016 Malibu will be available from the fourth quarter of the year in the following trims: L, LS, LT, Premier and Hybrid. 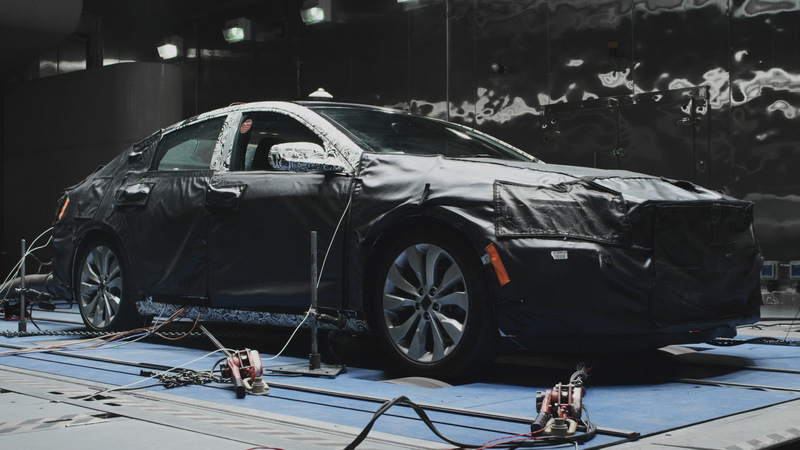 The model will be built at GM’s Fairfax Assembly Plant, in Kansas City, Kansas.